Palace Resorts provide a perfect setting for destination weddings. We have worked with Palace for several years to provide our clients with personalized weddings in some of the most beautiful destinations in the world. If you are interested in a destination wedding at a Palace property, RSVP for our 2019 Destination Wedding Seminar on Tuesday, February 12, 2019. Our Palace Resorts representative will be there to answer all of your questions and update us on all things new with Palace Resorts Weddings. 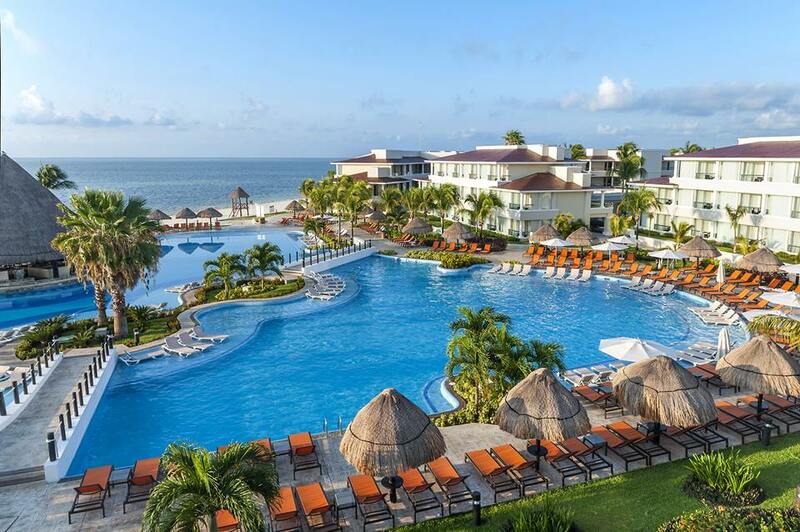 We will also be giving one lucky couple a 3 night stay at either Moon Palace Cancun or Moon Palace Jamaica! You can RSVP online here for this event and your RSVP and attendance automatically qualifies you to win! In addition to this amazing prize, we are also giving away $3,000 towards a destination wedding with Hard Rock Hotels Resorts, $500 for flights from Delta Vacations, and exciting prizes from Funjet Vacations, Sandals Resorts, and Playa Resorts. Read on for why we love Palace Resorts for our clients’ destination weddings! Not sure which one is right for you? Take their helpful quiz to decide which dreamy Palace Resort matches your bridal style. Click here! Honor your Catholic heritage in a way that is right for you and your fiance. From traditional to progressive, the destination wedding planners at Palace Resorts will create the perfect religious setting. 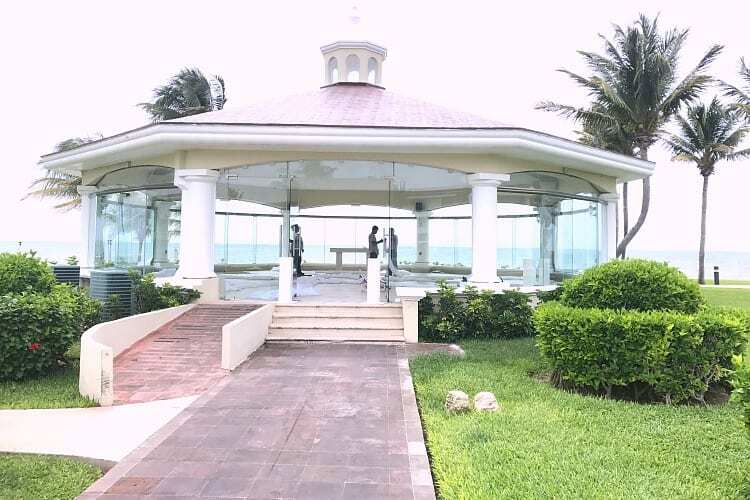 Book Moon Palace Cancun for the seaside Chapel ceremony! Whether you are celebrating the tish, the ketubah, the b’deken, the huppah, the kiddushin, or any other Jewish Wedding ceremony, you can be confident that your Palace destination wedding expert will make every step perfect. This is available at every Palace property listed above. Palace Resorts offers Indian Weddings at every single one of the resorts listed above. Every Palace property has experienced Indian wedding planners to assist you and your Enchanted Travel specialist from start to finish. Palace Indian wedding packages include every detail, from the Ghodi for Baraat Horse for the groom, to Mehendi and Henna artists. A Mayan Ceremony begins with Copal, or ancient incense, which purifies the couple before they enter the Sacred Circle. This Sacred Circle represents the perfect union and a wealthy home. The couple is then joined at the altar, where they will ask the 4 cardinal points for permission and the shaman will play the seashell. This is a great choice for couples who want something unique, with an ode to their setting in Mexico. RSVP for our 2019 Destination Wedding Seminar! Don’t forget to RSVP for our 2019 Destination Wedding Seminar, being held Tuesday, February 12 from 5 to 7 PM at our office. You can RSVP here and your RSVP + attendance will automatically qualify you to win tons of amazing prices, including a 4 night stay at either Moon Palace Cancun or Moon Palace Jamaica Grande. In addition, RSVP to win $3,000 towards a destination wedding with Hard Rock Resorts, $500 for flights from Delta Vacations, and tons of prizes from Playa Resorts, Sandals Resorts, and Funjet Vacations! Don’t miss out on this exciting event! RSVP NOW!